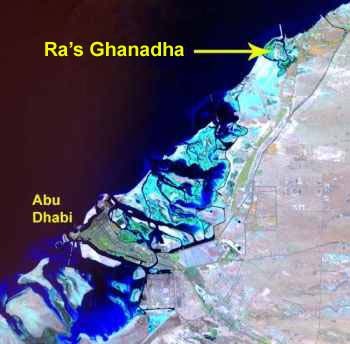 In April 1982, Sheikh Khalifa requested that the Department of Antiquities and Tourism from Al Ain Museum should survey Ghanadha Island on the Abu Dhabi-Dubai border. Here a very shallow site, a bare 30cms thick, revealed both third and first millennium artifacts, many on the surface, but as yet no settlement. Parallels with Umm an Nar are obvious with the recovery of lead sinkers, red potsherds, and copper fish hooks. Many bones were found, as at Umm an Nar, including dugong, camel, sheep, gazelle and seabirds. Al-Tikriti, W. Y. 1985. 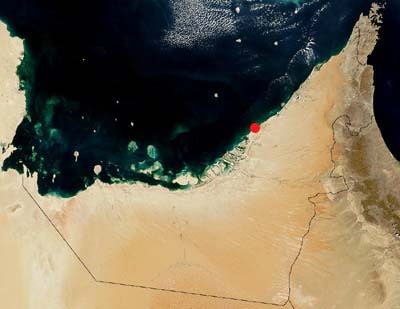 The Archaeological Investigations on Ghanadha Island 1982-1984: Further Evidence for the Coastal Umm an-Nar Culture. Archaeology in the United Arab Emirates 4: 9-19. Al Ain, UAE.